HANGING ON: Roden Y is not new on the music scene. He has been around for 10 years and he recently signed to Team No Sleep, where he’s living his dream. The singer’s trademark is his energetic performance and he already has about five songs that are doing so well on local charts. His target is an international audience. I was born Yusuf Ssenabulya but many know me as Roden Y, Kabako, Infantry, Majje Ga kutaaka, Illuminati and other names. Where did all these names come from? My fans. They can give you all sorts of names and you just have to accept whatever they call you. Some have even started calling me MTV material. But the main name, Roden Y, came from a certain animal called ‘Rodent’. So I removed the T and added Y, which stands for my name Yusuf. Which of your songs are playing on MTV Base? That is a plan for this year and other years to come. I am aiming at having my songs play on those channels. Tell me about your music journey? My music journey dates 10 years back, but most of those years, I was just hustling. I started my career at DJ Michael’s camp and after he had celebrated five years of his ‘Dance hall crew’, I left, but in good faith. 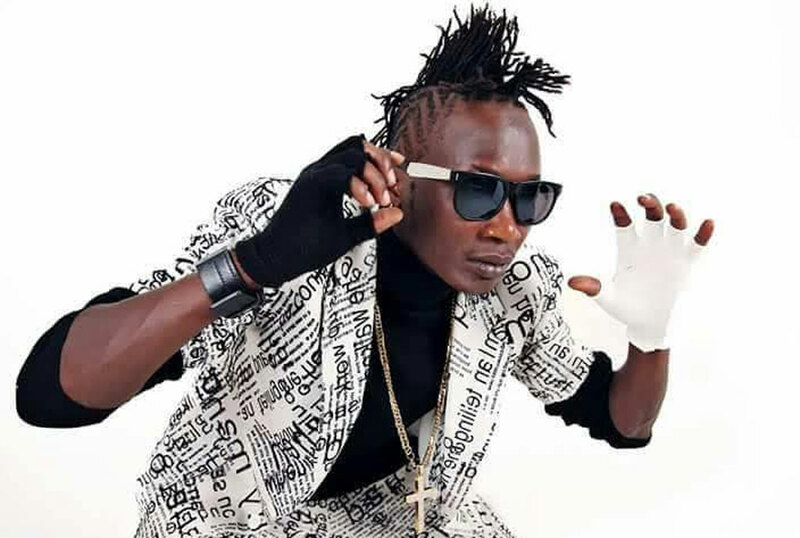 Jeff Kiwa advised me to start working with Sizzaman and after two years, he told me to hang around Radio and Weasel at the time when he was managing them. I was with them for three years until I started my own career. I did a song with King Saha, then Jeff tipped me to do a song with the late AK47. The song was title Diana. I was worried that it might not work but AK47 pushed me to do it with him. Shooting the video was a challenge but before then, my Makindye fans had solicited funds to buy me a car. The Shs1.8m they had collected was what we used to shoot the video. Then I did Ndeku, Akasolo, Kabako, Nanfuka and more are still coming. What type of car were you going to buy with Shs1.8m? There is a man in Makindye who was selling his car at Shs5m but because he is my fan, he was willing to give it to me at Shs3m. I can’t quite remember the type of car but we had agreed I would pay in installments. How much was your contribution on that car? I had just Shs100,000. That is what I topped up. What explanation did you give the fans for diverting the money? Jeff had told me that by shooting a video, chances were high that I would make a hit and get enough money to buy a nice car. Surprisingly, the fans loved the video and never demanded for the car. Ten years is a long time. Did you ever regret joining music? Unlike other artistes, I have not been settled all those years. I have been involved with many artistes and this is because music was something I always loved. What did you learn from all those different artistes? I learnt a couple of things from them; Respect, patience and fearing God. Without those three, I would not have been where I am today. So how did you stamp your feet at Team No Sleep? I would say the late AK47 contributed a lot to me joining the group. He was my friend and he told Jeff to manage me, of all the five other musicians that he was planning to take on. It was unfortunate that he died two days before we were slated to record a song titled Kubawo Nyo Awo, which many people know as Kabako. Why didn’t you name it Kubawo nyo awo in his memory? I couldn’t because I kept remembering him. In fact, I had even deleted it from the song, but Jeff told me to leave it in one of the verses. And how do your parents feel when they see you on stage? Unfortunately, I lost both my parents when I was in P3. I was left in the hands of my uncle Kassim Lubowa, who I have always considered my parent. Where did the love for music come from? I never paid school fees at all the schools I attended because I always helped out in MDD, giving students dance lessons. I was always involved in things to do with art and I knew this was my calling. I even recorded my first track Abakyakaze in my S2. Do you consume anything before you step on stage? I only take soda and water. I am a Muslim but my energy comes from the choreography. I wouldn’t say I am the best musician but my job is to entertain. People always expect something different from artistes. So that is how I give my fans the entertainment. I always want to leave an impact wherever I go, expecting never to come back to that place. I entertain to the fullest. I have been hustling but this year, I am going to show you what I am capable of. How far did he study? I did not study much. I do not even have a Senior Four certificate. I did my secondary education at Pride Secondary School in Mityana and went to New Eden for my primary.